As seen in The Coast News on March 1, 2019. 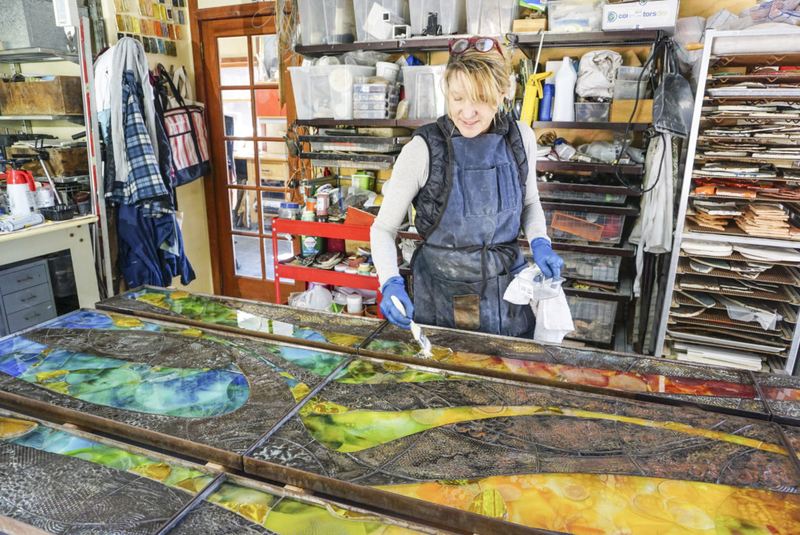 SOLANA BEACH — In a bright, airy studio overlooking the Los Penasquitos Lagoon, artist Betsy Schulz dips a wood-handled paint brush into a bowl of sealant before smoothing it across a six-inch portion of colorful glass. Three huge rectangular structures, all about 11 feet in length, rest on her work table. She’s treating the mosaics on these structures to keep out any moisture. These three panels are part of a larger sculpture being installed at the Solana Beach Fire Station by the end of March, although it’s tough to visualize in the studio.